Nowadays, every company and nonprofit organization needs to have an updated and relevant looking website to properly advertise their services and events. In fact, more and more organizations are creating additional websites to advertise their upcoming program, concert, annual dinner, etc. However, all too often, rabbis and educators are afraid to start the process of building a site for their community kollel or designing a new website for their school for the first time since 1999. All too often people assume that a website means a huge investment of both time and money—which is something that many busy businessmen and rabbis simply don’t have! Anyone can use Strikingly to create a mobile-friendly one-page format website that will look fresh and really highlight you and your organization. Strikingly provides a variety of templates that can be customized by hovering your mouse on any element of the template and selecting the edit button. Free Strikingly pages are assigned Strikingly subdomains. 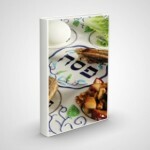 Premium accounts can have custom domains such as www.yourlocalkollel.com. Learn more about their free and premium options here. 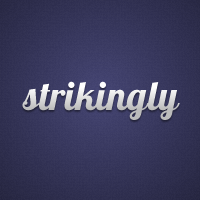 Still not convinced how your website will appear using Strikingly? The next time you are looking to build a mobile-optimized website for your new organization, special event or upcoming fundraising dinner, remember that you can use Strikingly and have your website up and running without no serious background in coding or design.